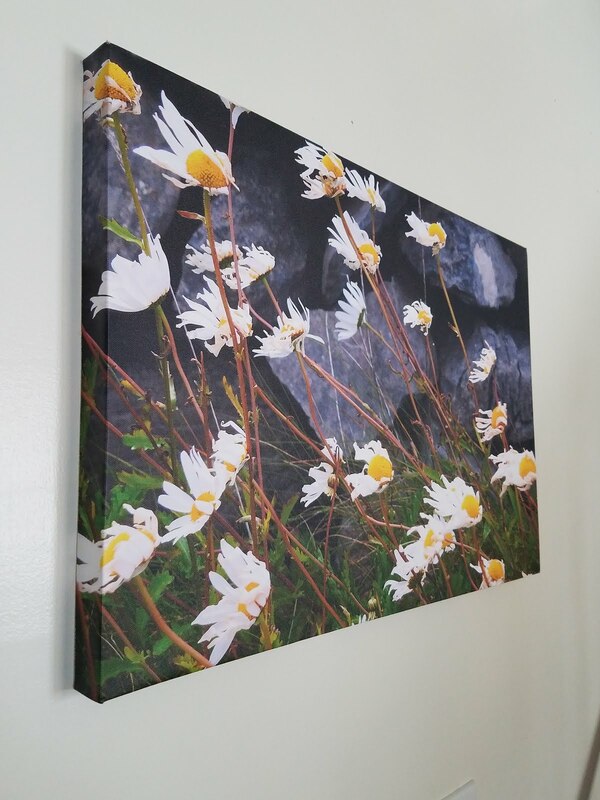 Turn your travel photos into custom wall art. When I travel, I like to take a lot of pictures; of everything. I share many of the pictures on Instagram and Facebook, and show them to family, but then they often get forgotten on my phone or memory card. Until now! I've decided to start using my travel pictures as artwork in my home. This way, the pictures on my walls represent not only things I like, but also memories of the journey to get the picture. Photowall.com offers a couple great options for getting your own images made into art including a really cool wall mural. Just think of the possibilities...that great mountain pic for your living room, or you and your family enjoying a joyful meal for a warm kitchen wall, or maybe the place you met your significant other for a bedroom wall, endless options for art when the image is your own. When they offered me a chance to try their product in exchange for a review I jumped at the chance to have one of my favorite pictures from my trip to the Aran Islands turned into art. I love the idea of having a wall mural, and photowall.com's look really cool, but I couldn't pick just one picture for a whole wall, so I decided to do my picture on canvas. The process of ordering was easy. I picked the size that I wanted and uploaded my image. 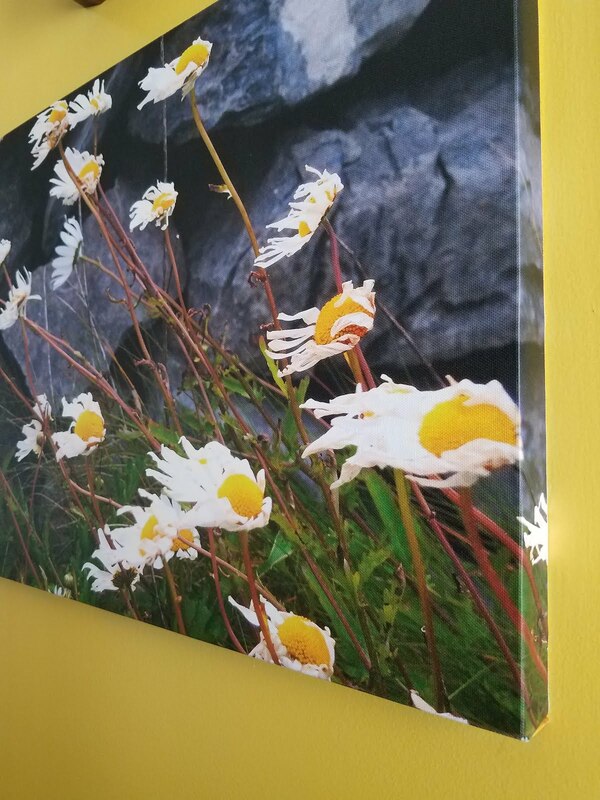 Then a few days later, my image on canvas arrived. The canvas print arrived nicely rolled in protective paper with everything needed to hang the canvas, but when I saw the pieces of wood and the bag of screws, I was worried that I had made a mistake. You see I am not a bit crafty! I don't do straight lines and I just knew that I would mess it up...but I didn't! The instructions were so easy to follow! Just pull the backing off the sticky part of the wood. 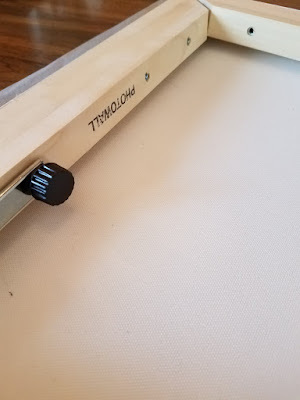 Adhere it to the edges of the canvas. Fold inward. Insert and tighten the screws. That's it! No tools, and only a few minutes later and I have an awesome piece of art! I'm so happy with how fast the turnaround time was and especially happy with how great this looks. Now to decide which wall to hang this art on! Disclosure: I received this product free for the purposes of this review. No other compensation was received. All opinions expressed are my own. It's Valentine's Day, Tell someone you love them! I've not always been a fan of Valentine's Day, (my argument against it is here). Too many people are left feeling bad when they don't have a significant other to celebrate with. Now, I still feel bad for people that are alone and sad about it, and I still don't like people feeling pressured to buy gifts, but... we need to find more positive in life right? Certainly the world can benefit from more love so let's do this! Valentine's Day is not just about couples. It's about celebrating love in all it's forms. It's not about flowers and candy and who gets the best gifts. It's about remembering to tell people you love them. Tell your friends. Tell your family. Tell your children and your pets. Even tell the person that makes your latte. Let everyone know that somebody loves them for some reason. And most importantly, tell yourself you are loved! Make sure no one feels alone today. Make sure everyone feels loved. Love is too awesome to keep to yourself; share it with the world! 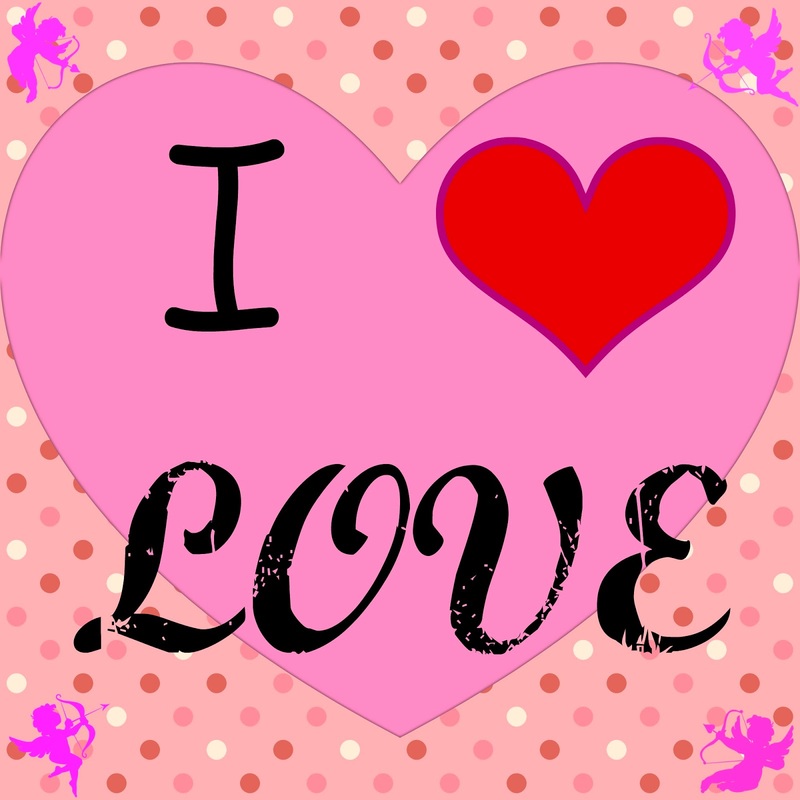 Valentine's Day is about LOVE! What could be wrong with that?! When I get back from a trip, I can't wait to start planning the next one. It's like I need to have the next destination planned so I have something to look forward to, something to work for. With so many wonderful places waiting to be explored, choosing what's next can be a challenge? Blakely Trettenero shares her tips for choosing your next destination. Your Boston vacation was great, especially that side trip to Salem to learn all about witch trials. The Grand Canyon lived up to its name and orca watching off the San Juan Islands was breathtaking. That was all in the past, though. Now it’s time to plan the next big excursion, and pack your favorite bags for adventure. But with so many places to visit, how do you choose the right one? Blakely Trettenero, a world-traveling chef who has visited more than 30 countries, says her advice is to leave nothing to chance, which is the approach she takes for her own travels. Every January, I reflect on the previous year, and ask myself what I can do to make a positive difference in the coming year. The answer is always the same; kindness. I try to always live in positivity and kindness, but, admittedly, it isn't always easy. Sometimes it can be difficult to infuse into our everyday lives. I take comfort in knowing that even the smallest acts of kindness can make a great difference in not only the happiness of others, but also my own. That's why I'm happy to share this article on how to make kindness an everyday habit. I hope you find your year filled with happiness and kindness. When Lady Gaga recently told her fans that kindness – not wealth and fame – is what creates harmony in the world she may have been on to something. Research has shown that being kind makes us happier and also is contagious, inspiring others to be kind as well. For example, one such study published in the Journal of Social Psychology linked performing acts of kindness to an increase in life satisfaction. 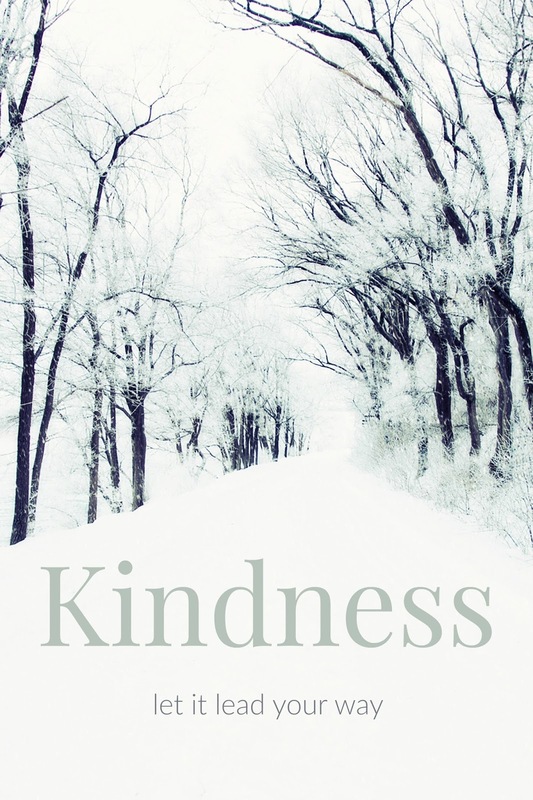 That’s why as people make their resolutions for the coming New Year, they should make up their minds to commit purposeful acts of kindness every day, says Gabriella van Rij, a kindness activist and author whose latest book is Watch Your Delivery. She says we as a society have dropped the ball on human kindness and it’s time we picked it back up. • Answer rudeness with kindness. This one is difficult, van Rij acknowledges. “When someone is rude to you, the first thing you do is instantly react and not always in a positive way,” she says. “And the second thing you do is say it’s about me. They were nasty to me.” But van Rij says it’s not about you, it’s about the emotion. By answering rudeness with kindness, you diffuse the situation and there’s also a certain satisfaction in seeing the change in the attitude of the person who was rude. • Watch your delivery. The tone that accompanies your words is as important as what you are saying. Do you need to soften your tone? Does what you say sound more aggressive than what you mean? Body language also can send a message you didn’t intend, so be aware of your body language and your facial expressions. • Acknowledge kindness when you see it. When you acknowledge the kind acts you see, that person will be encouraged to continue to spread kindness. Acknowledging kindness in others also will serve as a reminder to you about how you can show kindness. Gabriella van Rij (www.gabriella.global) is a speaker, author and activist whose latest book, Watch Your Delivery, explores how we often fail in communicating. She began her life as an orphan in Pakistan, and today is a frequent guest on TV and radio. She also is the author of I Can Find My Might and With All My Might. Disclosure: No compensation was received for this post but this site uses affiliate links. The article was posted with permission. 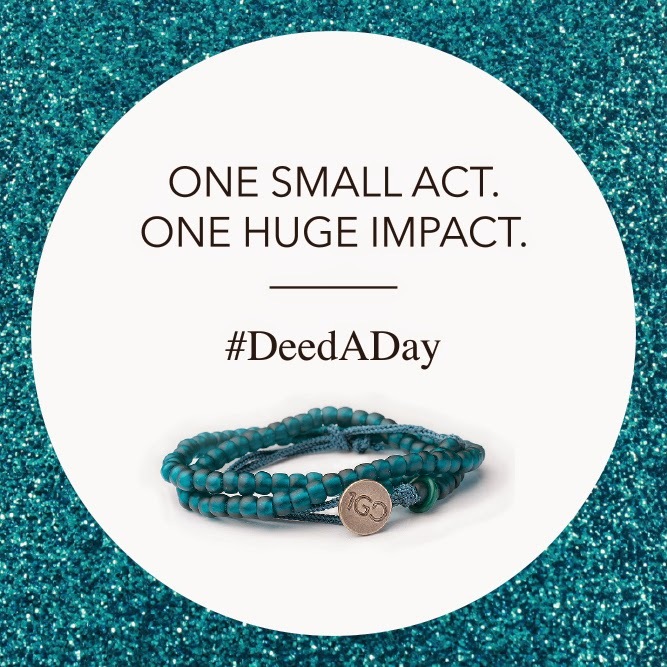 Make Your Resolution Mean More With 100 Good Deeds. It's that time of year where people everywhere are making resolutions for the new year. These resolutions include everything from lose weight and be healthier, to get organized, travel, and be happier. There is nothing wrong with any of these resolutions. They are all good focuses to have, but they are all focused on the self. That's the funny thing about New Year resolutions, we end the year with a focus on giving to others, and go right into the new year with a focus on "me"; how do I make "me" better. What if you made a different kind of resolution this year? A resolution that focuses on giving to others throughout the year. And, what if you had a way to hold yourself to that resolution, so it doesn't fade way like so many of our other resolutions do? Might giving to others actually result in you being happier? I think so.